London Business School, helmed by Klaus Rasmussen, won the 2013 Global MBA Trophy on the Faliron Bay, off Microlimano, Piraeus, Greece. 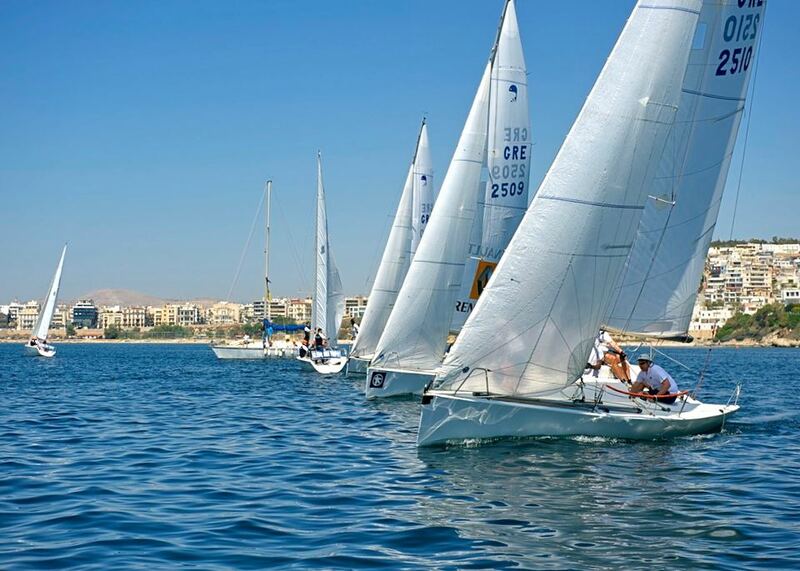 The regatta was sailed in One- design 25ft “Platu” boats, provided by the Platu Class Association of Greece. The boats are normally sailed by their owners or by professional sailors on the match- racing tour, and were challenging and great fun to sail. LBS “Red” repeated Bocconi’s feat from 2012 of 4 first place finishes, finishing 3rd in the first race and 2nd in the 5th. Second place went to Kellogg/WHU, skippered by Ingrid Van Wees, who won the two other races, and got 2nd place in two others, holding onto second place despite a disqualification for a Port- Starboard incident in the 4th race. Third place was won by the INSEAD/ AUEB joint venture led by Spiros Papantoniou. Warwick had a fine second day, bagging three third places, which was enough to see them land fourth place overall, above the second LBS boat, RSM and the joint RSM/IE boat. First training on the Volvo 60 this weekend!